Set in France and other countries, the adventures of Max (cat) and Voltaire (dog), their three cat pals- Zoa, Tish and Say What - take their readers on heart-warming and humorous voyages of discovery. 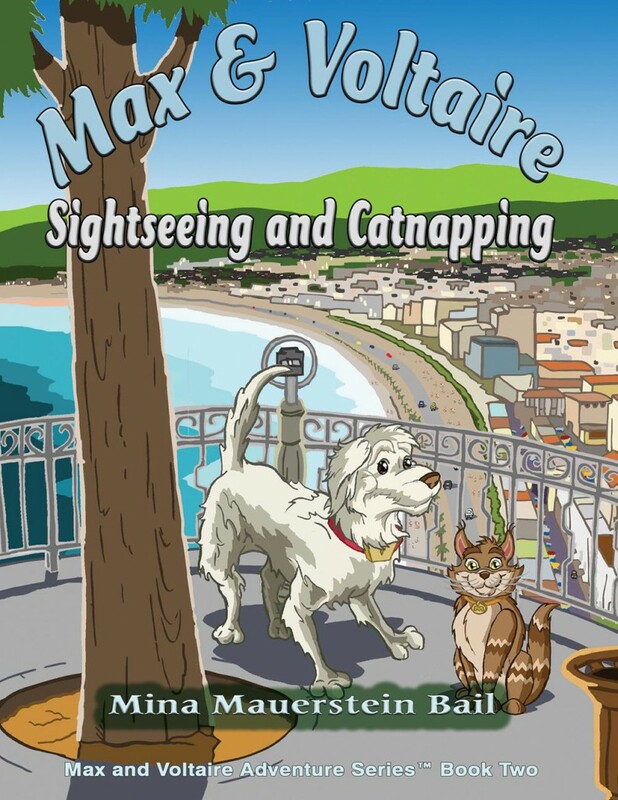 In Book Two of the series (Sightseeing and Catnapping) Max and Voltaire go to the south of France. They discover not only new landscapes but also the rewards of caring for others and coming to the aid of those in need. They solve a mystery, save a kitten in distress and make new friends.